This was a simple project, didn't take much time, and I'm likely to just sell off the body now that I'm done. 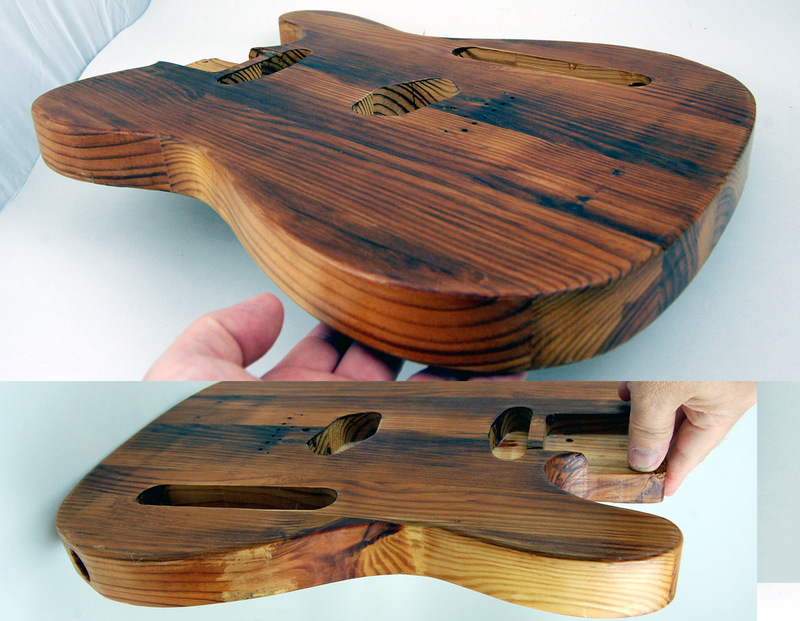 It was the third pine body I bought to finish (as of this writing, the 2nd still isn't done) and was a unique challenge. 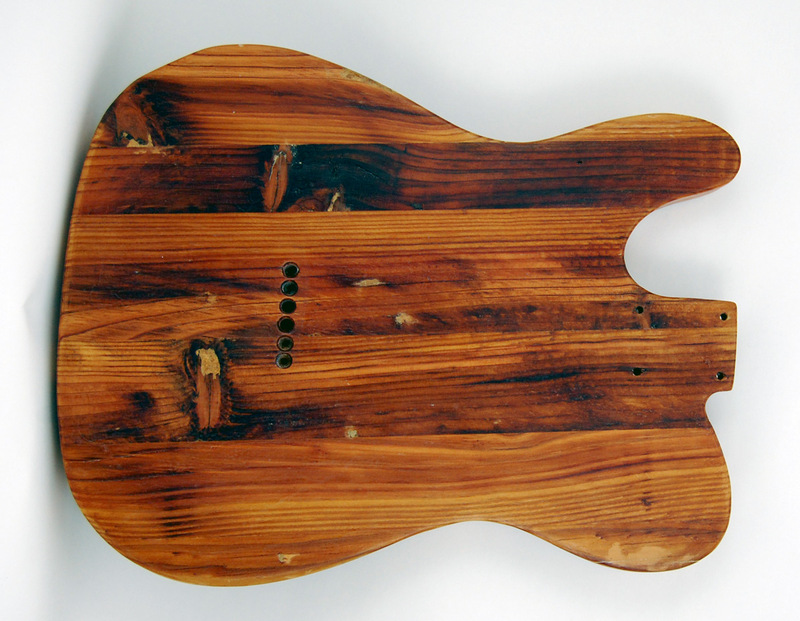 It was already partially dark, used many boards to make the body, offset grain, and was a pain in many ways. Still, she is a beauty and looks like a 100% pure American Barncaster. It was pulled off a barn built in 1920, so the wood is around 100 years old. By the way, if you save these photos, they are much larger than shown here. This project presented several challenges. First off, the boards weren't in line with the neck. This really doesn't matter, but it does look different, and perhaps more authentic to the barn heritage. 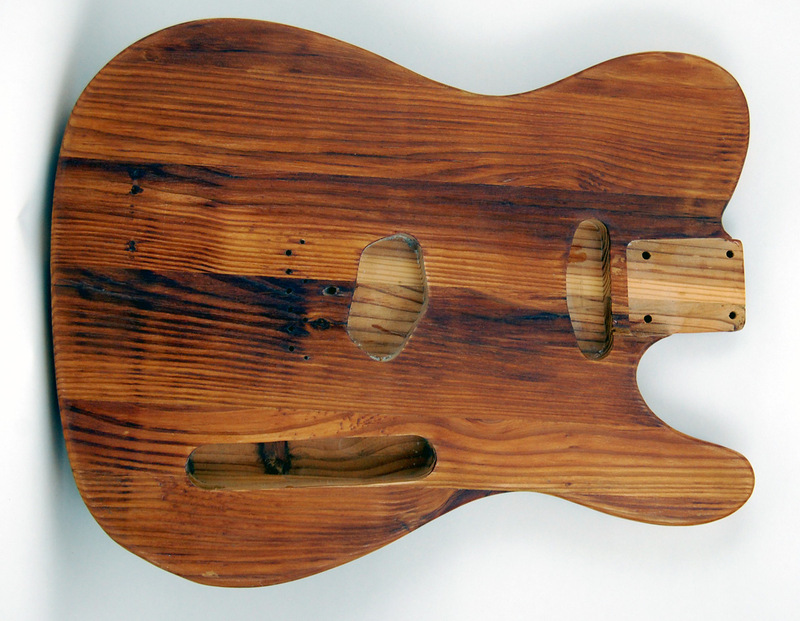 The body was from a barn built in 1920, they tore it down and are making a lot of guitar bodies. This one came in at 4.45 pounds, which is a beautiful weight, not too heavy so it is a burden, and not so light as to kill the sustain. From my experience, any body without electronics that comes in between 4 and 5 pounds is perfect, and this threads the needle just fine. I started by sanding the wood just a little to keep it level. I knew when I bought it, this would be one that wasn't polished but instead was thin-coated and allowed to breath a little. 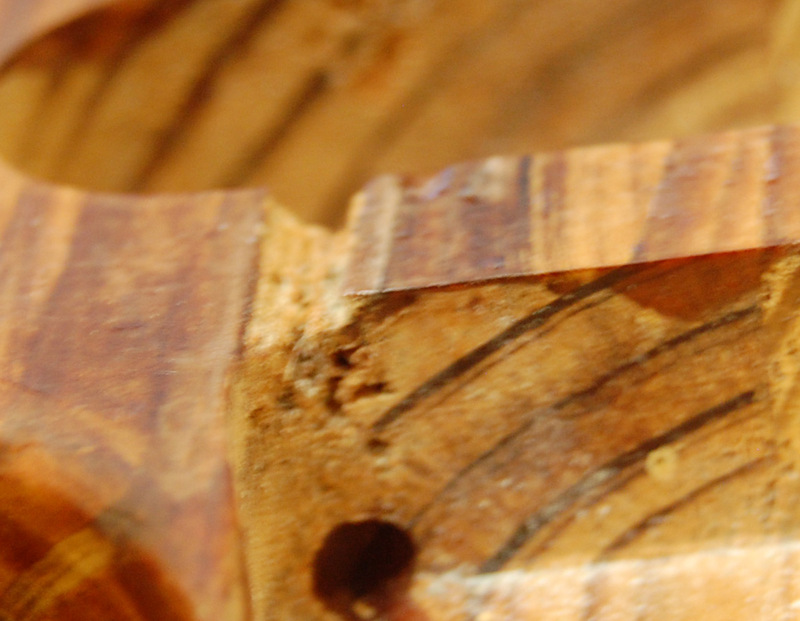 I started by aging the wood for a week using Univeral UV lamps, 8 x 32 watts to cover two sides, then flipping it every day. It already had a little age on it, I just wanted to round it out. Next, I put a super tin coat of Solarez surf board resin on it, cured for about 10 minutes and sanded. I followed that with a slightly thicker coat, sanded again. I dug into the wood a bit, so I needed to age it back, so spent a week in the chamber of UV yet again. 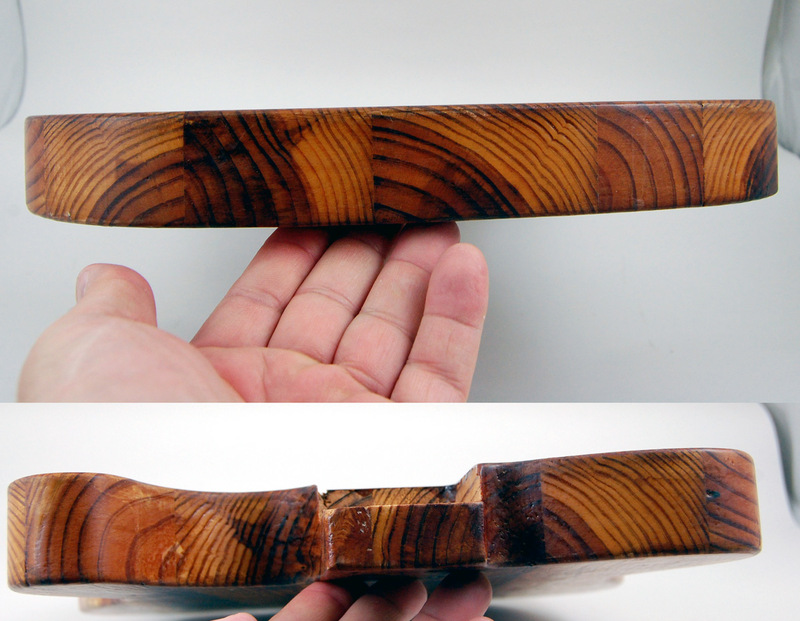 Once fairly level, I actually put a coat of sealer on TOP of the finish because I like the feel of it, it is more rough. Now the work starts. I sanded the rough areas and started in with a 3M kitchen sponge/scrubby. Yes, I'm serious. I did this to degloss the guitar. I told you I'm an idiot when it comes to finishing, I just used what was around. This actually worked exceptionally well. The finish is a bit pebbled, so this let me reach down and rough up the high and low spots. I got the idea because that sponge looks like a rougher version of a finishing pad I use. After the gloss was all gone, I took the finishing pad and put a light matte finish on the guitar. It barely looks like it has any finish at all, which was the goal. 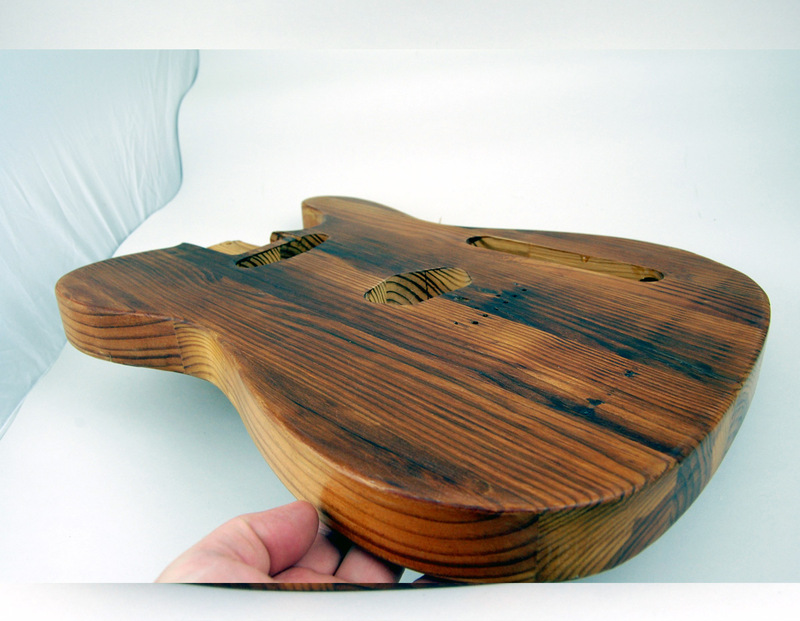 It is sealed up better than just a pure sealer finish, but it looks like very little was done, so it looks more natural and no colorization of the guitar. Obviously, the Solacure UV curing lights are what put the pretty in it, but it also took a fair amount of elbow grease since I didn't know what I was doing. 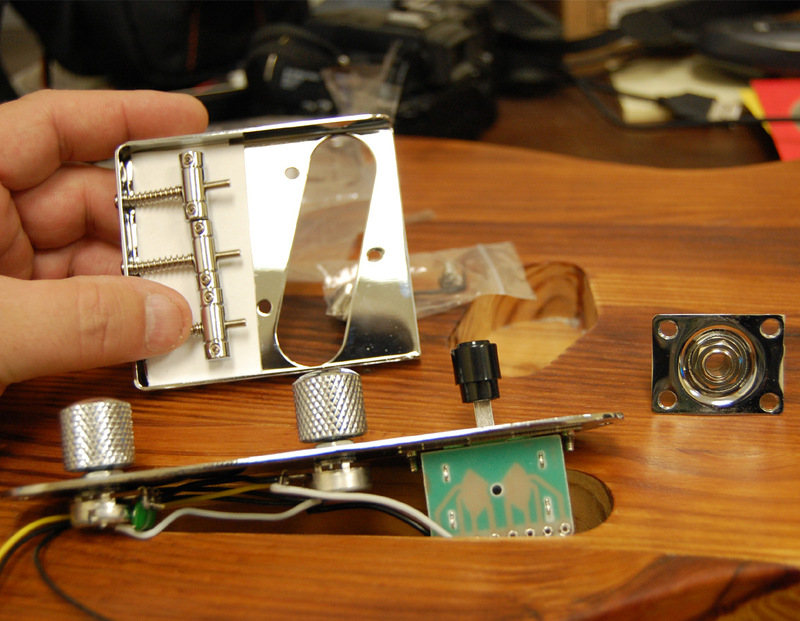 Flaws: Between the neck socket and the neck pickup hole, there is a small chunk of wood knocked out. 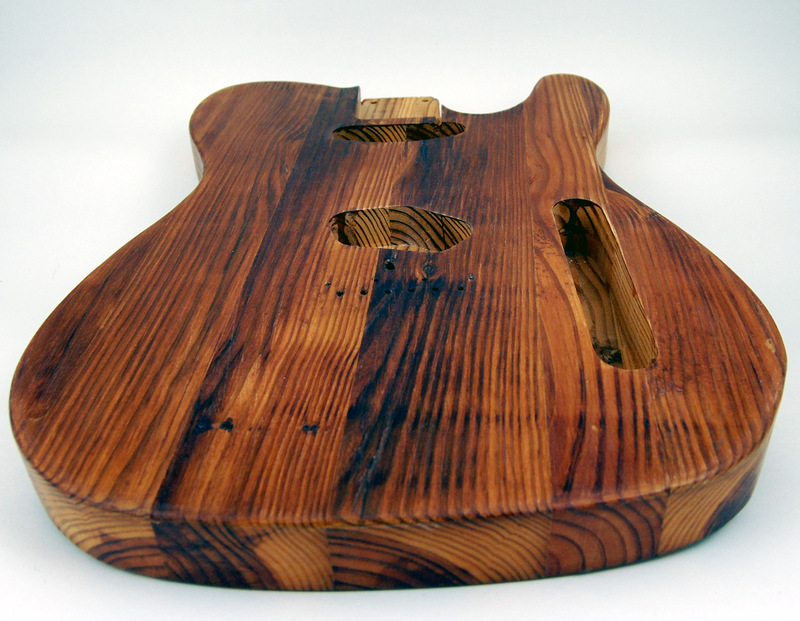 This would be covered by a pickguard, but you could make it worse if you rough handled it. I shot of glue would stiffen it up if you are worried. The rest of the "flaws" are character. I expect to bundle it with some inexpensive but perfectly functional parts, like a vintage 3 saddle bridge, control system and a side jack that I had to flatten out a bit. Chinese made but again, functional. These aren't exactly OEM Fender, but they are very typical of barncasters in general.